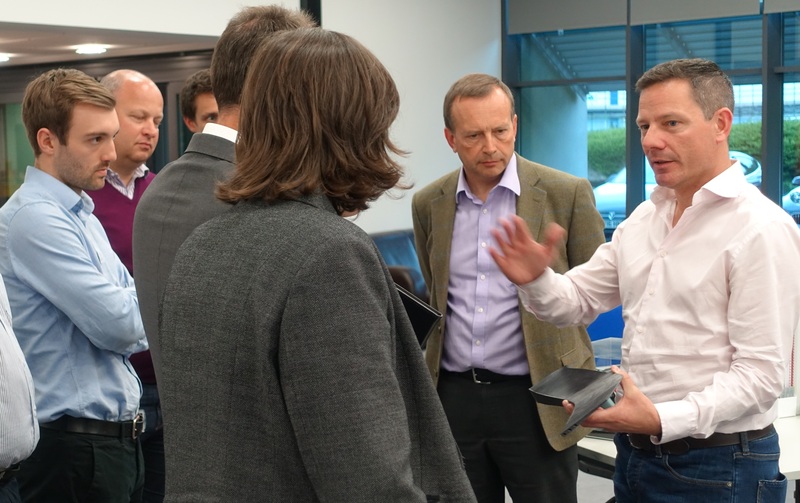 Collaboration in areas such as funding, exporting and recruitment was a hot topic of discussion among senior engineering figures at a special Silverstone Technology Cluster meeting. 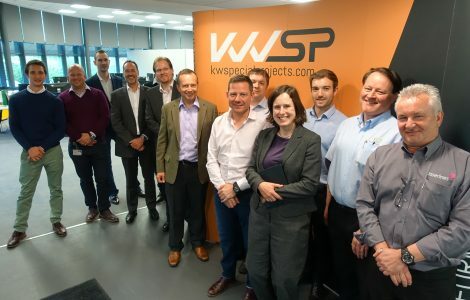 The STC event, hosted by one of its member companies KWSP in Brackley, included high-tech companies from within the Cambridge-Milton Keynes-Oxford Corridor which has been identified by Government as a key area of growth in its Industrial Strategy. It was the first event of its kind to be arranged by STC since it formed to lead promotion, awareness and growth of the region within a one-hour radius of Silverstone – identified in a high profile SQW report as being home to around 4000 companies with exceptional capabilities in high-tech engineering. The meeting allowed CEO Pim van Baarsen to explain the STC and its business model but also encouraged healthy debate among guests who represented major high-tech organisations such as Laserlines, Williams Advanced Engineering, Composite Braiding, Mercedes-AMG Petronas Motorsport, EDM Technology and Oxford Instruments. Those present discussed the potential power of networking, knowledge sharing and links with organisations such as the Institution of Mechanical Engineering (IMechE), the Institution of Engineering & Technology (IET) and Motorsport Industry Association (MIA) as being central to the success of STC as an industry cluster. Also highlighted was access to capital, skills and export knowledge as three key challenges that could affect the growth of the cluster. Pim van Baarsen commented: “Cluster groups such as ours are all about providing value for members and a focus for their customers, wherever they may be across the globe. “Given the fact that most of our cluster members export the majority of their products, the constantly changing export/import rules of various countries was identified as a big issue. He added: “Our cluster members also highlighted the constant pressure on them to recruit the very best engineers in the world. Despite the uncertainties of Brexit, we remain convinced that even closer ties to universities and colleges in both the UK and overseas will be important relationships for us moving forward. During the meeting KWSP, a leading engineering consultancy, showcased some of the work it is currently undertaking in sectors such as performance sport, machine building, inkjet printing and motorsport. CLICK HERE for more information about Silverstone Technology Cluster – a not-for-profit organisation that harnesses the power of promotion, support and thought leadership to add value to its members.